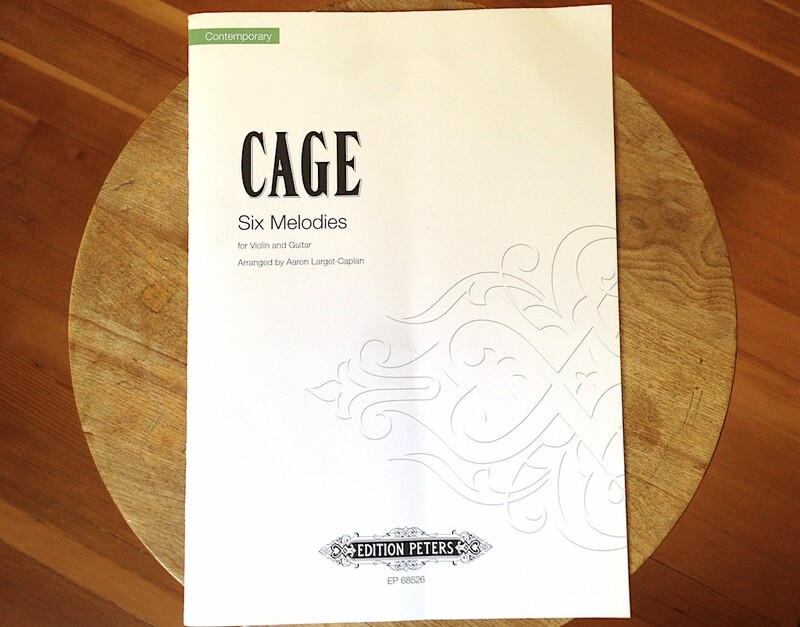 A few months ago I started arranging Six Melodies by American composer John Cage (1912-1992) but quickly found a YouTube video of Boston based guitarist Aaron Larget-Caplan playing the work with great success. After asking about the arrangement I received this beautiful score by Edition Peters. No need for me to arrange when such a great edition already exists! It’s such a treat to be able to play the music of John Cage from this era of his compositions. The gamut technique and the nested rhythmic proportions are the same used in his String Quartet in Four Part… theory aside, they create a tranquil and almost hypnotic motivic puzzle of beauty. There is little music of this style and era specifically written for guitar so high quality arrangements are very welcome. I’ll quote more info about the piece below but it’s a great arrangement without much alteration outside of a few register changes, small re-voicing of chords, and addition of harmonics. I also appreciate the dedicated and consistent use of timbral indications which will help keep the work in line with Cage on the guitar. 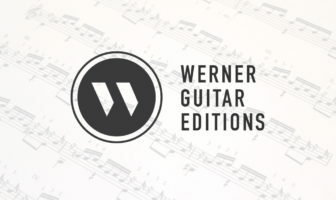 It’s generally not too difficult of a score to play on the guitar but requires a high level of rhythmic awareness and a mature ensemble skill set to pull it off. Written in 1955 and originally for violin and keyboard, Aaron’s arrangement is the first John Cage composition featuring the guitar to be published by Editions Peters, the official publisher of the music of John Cage…During this period of his composition, John Cage was greatly influenced by the I-Ching, Book of Changes, creating many works based on ‘chance-operations’ during the composing process. The influence of Asian music through rhythm patterns can be heard with the works written in rhythmic structures: 3½, 3½, 4, 4, 3, 4. The work is not easy for violin with many harmonics and jumps due to the exact string indications given. Cage also asks for no vibrato and minimum weight on the bow. The guitar part is somewhat demanding with a few unusual chords, timbre directions and counting. As a duo there are some wonderful hockets especially in Melodies 3 and 4.